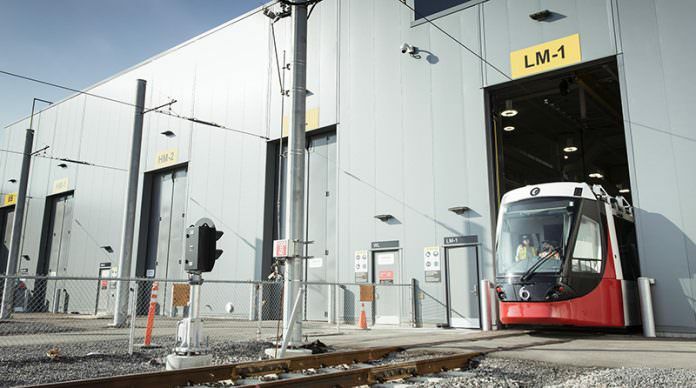 A deal worth almost €200 million has been awarded to Alstom to supply 38 light rail vehicles (LRVs) for the expansion of Ottawa’s O-Train light rail system, Ontario, Canada. The Citadis Spirit vehicles will be assembled by Alstom at the Belfast Yard maintenance and storage facility and run on Stage 2 of the Confederation line, which is under construction. The LRVs have been specially designed for the North American market, come with low-floors for easy access on and off and can travel up to speeds of 65mph. Depending on the configuration, they can transport between 175 and 340 passengers. The contract was awarded by the Rideau Transit Group (RTG) – a consortium made of SNC-Lavalin, ACS Infrastructure Canada and EllisDon – which is constructing the line and is in addition to a 2013 contract signed with RTG for 34 Citadis Spirit vehicles. RTG is currently delivering Stage 1 of the Confederation line and recently confirmed that the City of Ottawa had extended its contract for Stage 2. Construction of Stage 2 begins in 2019, with 2023 set as an estimated competition date. Alstom said that once the Confederation line is complete, 70 per cent of the population of Ottawa will live within 5km of the line.